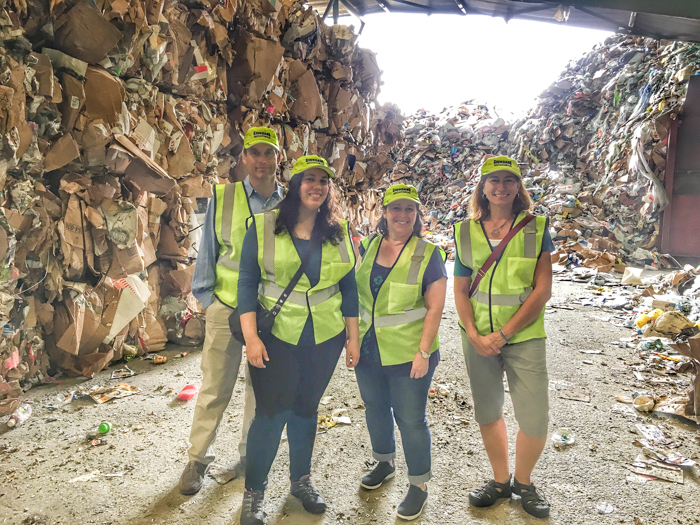 In July, I was invited to tour a recycling sorting facility. This facility is the local hauler for my town and many of the surrounding towns in my county. All of those towns can certainly add up to a lot of recyclables that are being picked up! I will say that I learned many things regarding recycling, which has changed how I view items deemed to be recyclable. Read on to learn the top five things I learned that day! Some hauling companies offer single stream or dual stream. For many years our recycling had been dual stream. 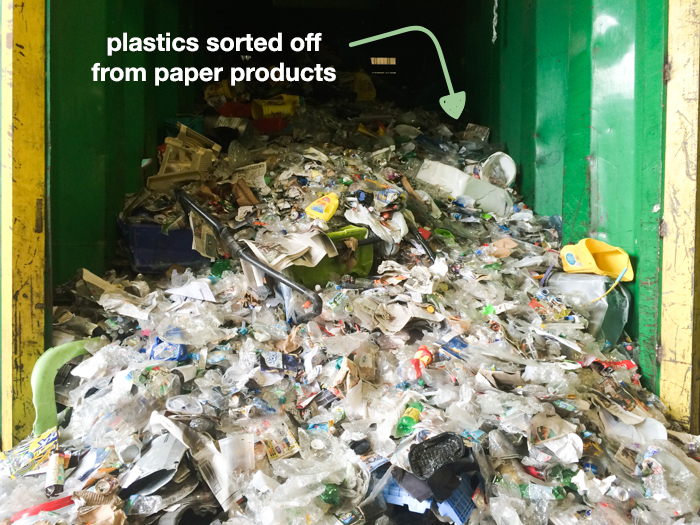 Which required us to separate our plastics/glass/metal from paper and cardboard. However, for financial reasons our town opted to switch to single stream, as they said it would save us taxpayers money. That may be true, but it doesn’t save time or effort at the recycling facility. All of these items still need to be sorted in the end and that takes time and people-power. At the time of my visit there was a lot still being done by hand with a few employees hand-sorting. Knowing which type of recycling stream you have is important, so you can know how to prepare your recycling. Single stream benefits from having cellophane envelope windows removed before the rest is recycled. 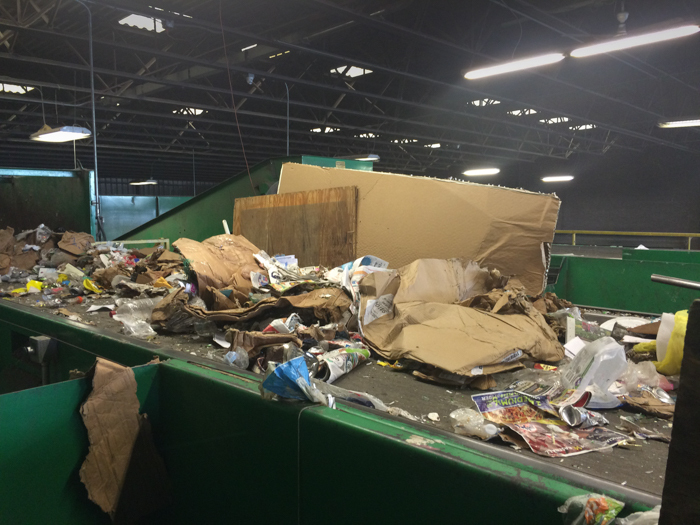 It only takes a phone call or email to check what your town’s recycling regulations are. If your town doesn’t have those regulations as detailed as you’d like, I encourage you to contact your hauler to find out details. They can be an incredible resource to help the recycling process and give your materials the best chance of a new life. 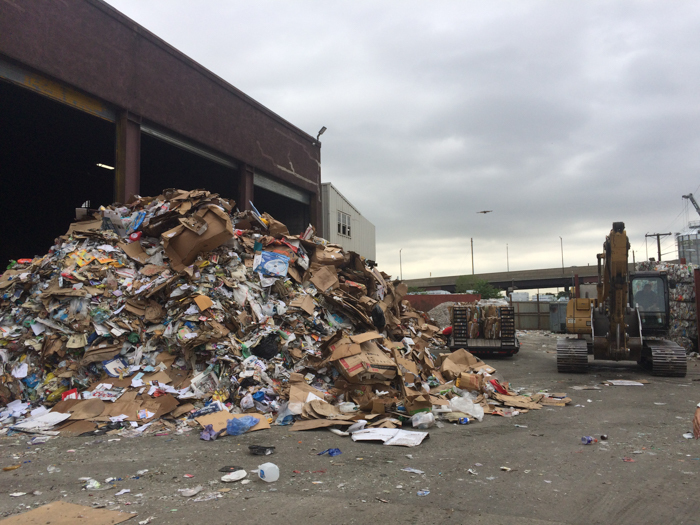 The better you prepare your recyclables, the higher chance they have of actually being recycled. Food containers that still have food or food residue are automatically trashed at this facility since they have no capabilities to clean every container that needs it. That is the biggest reason containers won’t get recycled! I personally take another step further and de-labled my cans and bottles as much as I can. Recyclables don’t get ditched if they still have labels but I know that can’t hurt the process. The easiest labels to remove are usually aluminum food can labels, as they’re only glued in one place. That also helps to add to my paper recycling too! Preparing paper is just as easy too, avoid leaving plastic tape (such as packaging tape or scotch tape), staples are a no-go as well. Take care to not have any plastic items co-mingled with your paper. 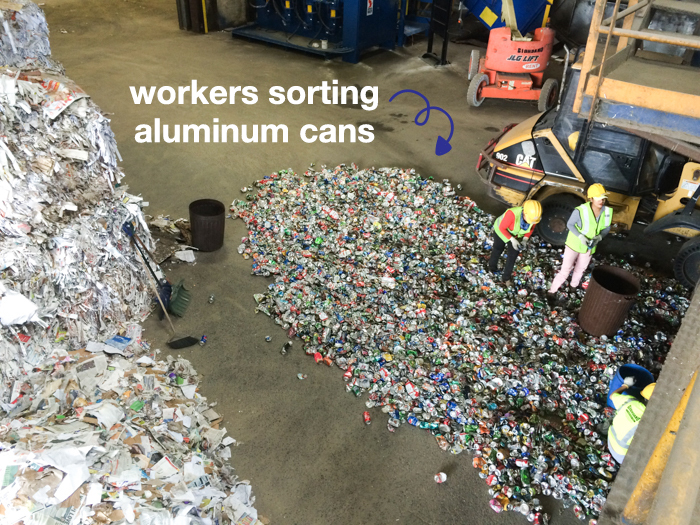 To my disappointment, I found out that the materials that are best suited for recycling are large items that won’t get lost in the sorting facility. Smaller items, especially those that are the size of your hand or smaller are likely to not make it through to the bails. I wish this wasn’t true but unfortunately it is. While touring the facility I can easily see how small bits will get left behind when their production is on such a massive scale. That means all of the razor blades us Zero Wasters have been collecting won’t actually get recycled. Nor will those plastic disposable razors, razor replacement heads or even plastic pens and pencils. However, it’s good to know because now that helps us to change our ways to curb those materials from becoming trash. If you know it won’t get recycled are you still likely to buy or use it? 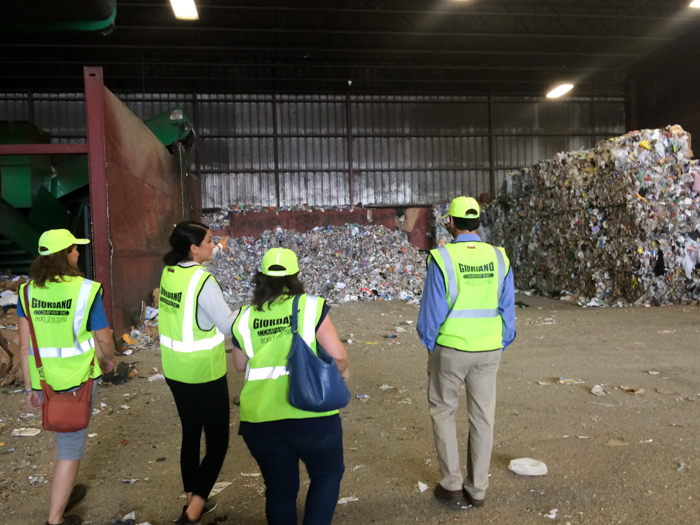 During this tour I learned that all of this recycling material isn’t going to have a second life if there are no companies out there that are willing to purchase bails of recyclable materials. 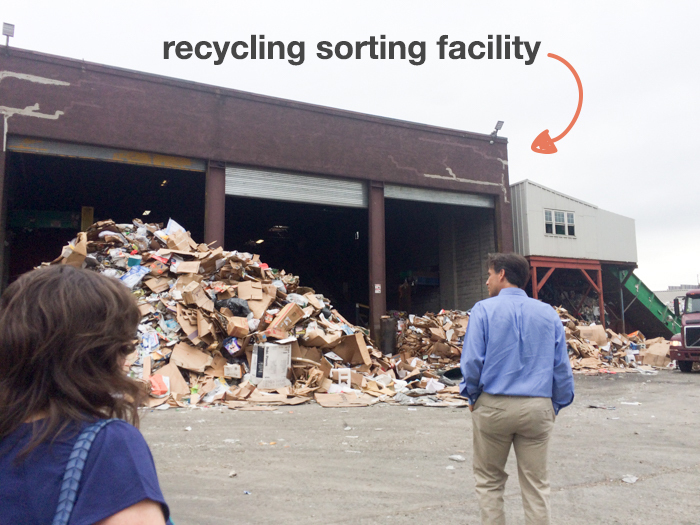 I only visited a sorting facility, not a facility that uses the material to create new products. It still hadn’t occurred to me, until visiting the facility and being told so. Without a demand for recycled paper or plastics these materials hold no value. So supporting companies that make their products from recycled materials is the best chance of having them stay out of the landfill. With that said, there are a lot of companies using recycled materials than you think, you just have to be on the lookout to find them. 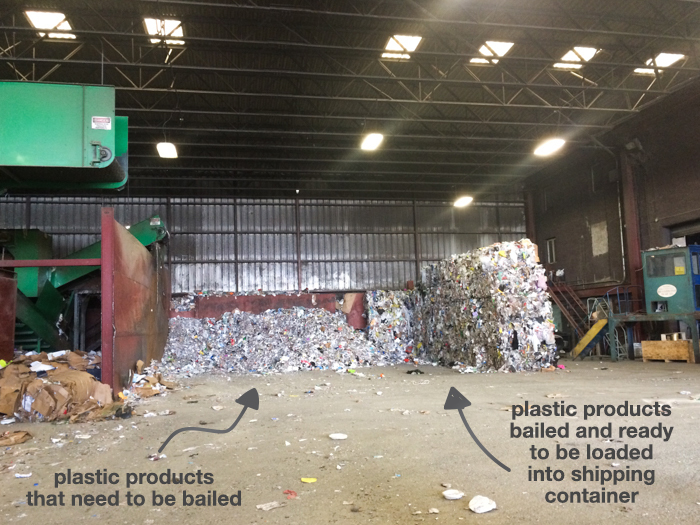 Regarding the type of materials that are to be recycled. There are also certain plastics that have a higher recycling value. 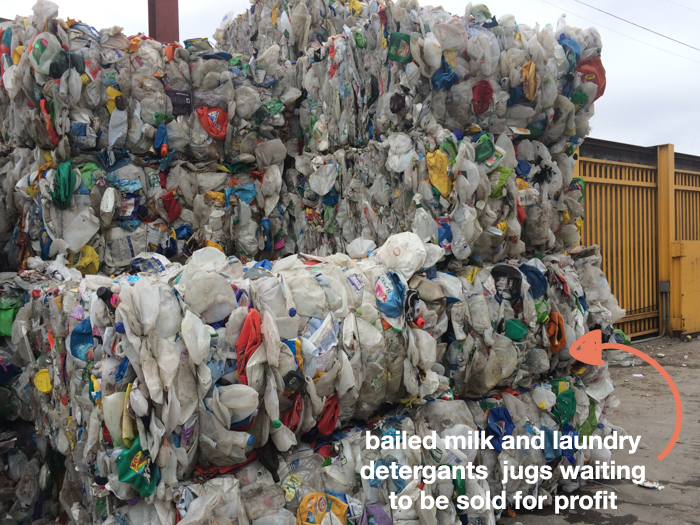 Such as PETE/PET #1 (laundry detergent jug) and HDPE (milk jugs) #2 plastics. I found out paper is the highest priced recyclable there is. Likely because paper can be recycled many times without losing its integrity, unlike plastics. 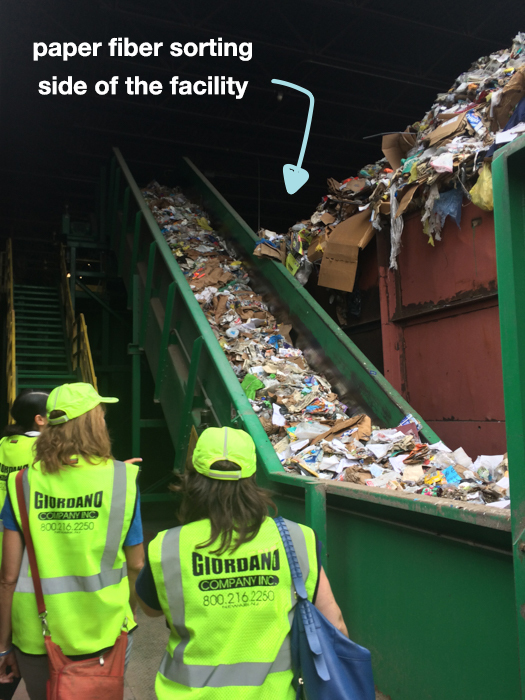 This all means that the higher valued materials are most likely to get recycled and reused in the future. The higher number plastics either hold little value for recycling and are made of such poor plastic that their value to be reused is so low that they won’t even be able to be recycled. Also remember that plastic can be recycled (but truly downcycled) and eventually the material will be of such poor quality that it will become trash. Since paper products are made from the earth, they can easily be put back into the earth. As well as have a far high rate of recycling. Mainly because they have so many uses and could essentially be recycled infinitely, this also matters for selling cost. The most disappointing thing I learned about the different types of materials at this facility is that glass holds the least value for recycling. Despite being a material that can be recycled (not downcycled) infinitely. This is mainly because it is not valued as high because it has begun to cost more to haul it away. Than actually benefitting from recycling and the cost of production it takes to create a recycled glass product. That is a shame since in my opinion it is such a valuable material for reusing. With the massive amounts of material stacked far beyond my height for several feet it got me thinking. So much about the lifespan of this material and if it would actually have a second life. What would happen to it once it was used a second time? It did then occur to me that I need to keep on my path to a Zero Waste life. It’s the only way that I can truly help. By reducing the amount of materials created, which will eventually become trash. The pioneers had it right all along. By using every part of the animal, by reusing grain bags for more grain. They even reused materials to benefit children, by creating simple dolls out of corn husks. What have you been doing to reduce your recyclable materials?